Sugar Bowl Resort will host sled dog races this winter. 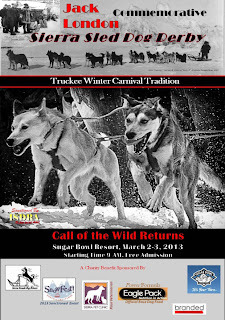 The race will be staged by the Sierra Nevada Dog Drivers, a group of mushers that promote the sport of “driving dogs”. The race will start in Soda Springs, wind through Royal Gorge property, out to the Village at Sugar Bowl and return. This course is possible through the recent purchase of Royal Gorge by the Tahoe Donner Land Trust. Sugar Bowl has signed an agreement with the Tahoe Donner Land Trust to manage Royal Gorge. 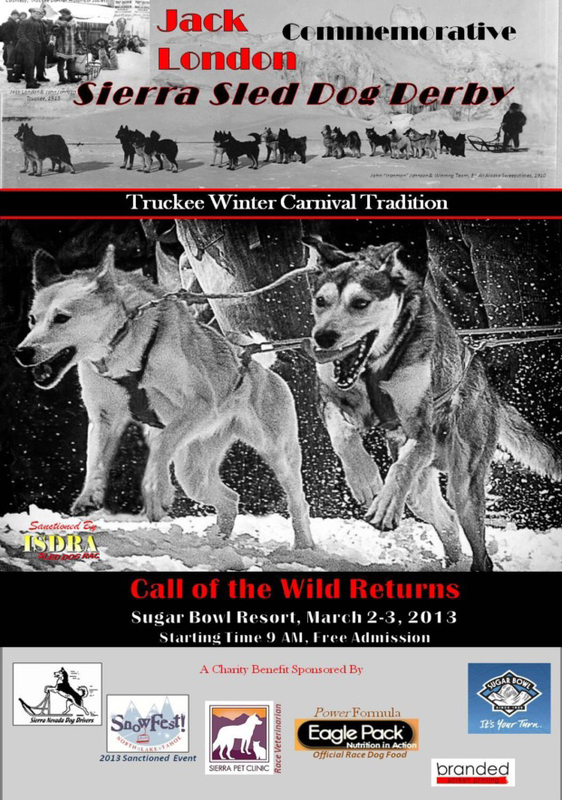 The Jack London Commemorative Sierra Sled Dog Derby will be March 2-3, 2013. Admission is free for spectators. Truckee has a rich history of sled dog racing. Many believe racing began in the late 1800’s when sleds were raced through the streets of Truckee. Dog sledding brought movie makers in the early 1900’s. Charlie Chaplin and William Hart made movies in Truckee. Jack London saw a Truckee sled dog race in 1915. London returned 20 years later to film Call of the Wild in Truckee. The Truckee Lions Club kept sled dog racing alive through 1997. The last races were held out at the Truckee Tahoe Airport.